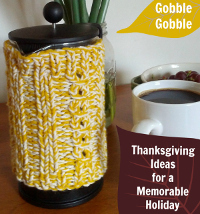 Home > Thanksgiving Knits > 119 Thanksgiving Craft Ideas + Free Knitting Patterns for Fall! Before you know it, summer is going to come to a close. Kids will go back to school and soon enough the crisp fall weather will set in. 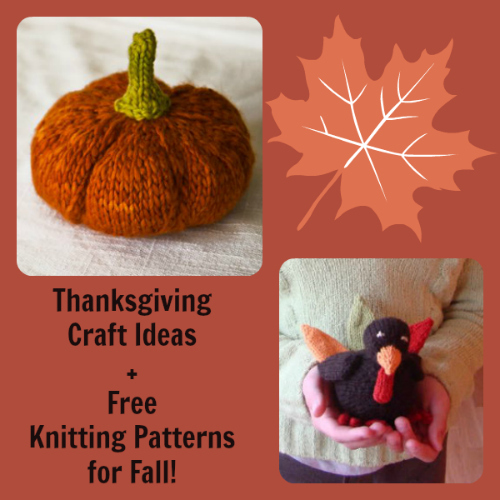 If you’ve been reluctant to knit in the summer heat, here’s your chance to start preparing for fall with Thanksgiving Craft Ideas + Free Knitting Patterns for Fall! 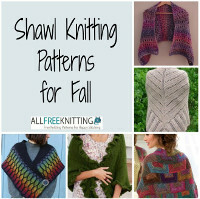 Make scarves and shawls to keep you warm from these free knitting patterns. 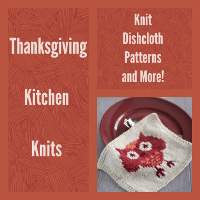 Then prepare your home for Thanksgiving this year by making knitted decorations and knit dishcloths. 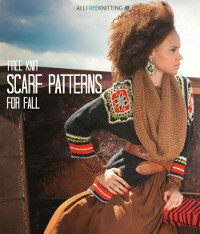 + Free Knitting Patterns for Fall! Beautiful shawls are the perfect fall accessory. From lacy to warm and cozy, these shawl knitting patterns come in all shapes and sizes. Some are elegant and perfect for a Thanksgiving family dinner, while others a great for curling up with a good book. From ruffles to chunky cables, these fall scarf knitting patterns are full of options. Fall tends to have warmer days and cooler ones, so try knitting a few different types of scarves for this season. With warm browns and reds, these scarves are begging to be knit. What would Thanksgiving be without decorations? Make some of your own knitted decorations with this collection. People will be asking you where you found such a cute knitted turkey. You’ll have the most unique table centerpieces if you make these knitted leaves and acorns. Thanksgiving takes place at the table, but the real work begins in the kitchen. Make some knitted dishcloths just for the occasion and an apron for yourself. 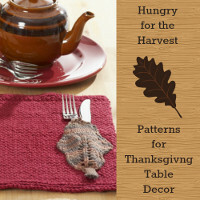 Then make some placemats and festive teapot cozies from these free knitting patterns. Homemade crafts are a great way to make the holidays more memorable. Whether you set your easy Thanksgiving Centerpiece out on the big day or craft with your family, these patterns will help make family memories to cherish forever. Thanksgiving is all about the dinner table. While everyone's waiting on that juicy Thanksgiving turkey, everyone will be looking at your table decorations. These sophisticated patterns will revamp your table so that it's ready for an elegant Thanksgiving meal. 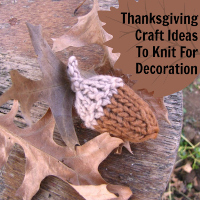 How do I get 17 Thanksgiving craft ideas to knit for decorations?